BDN: How would you describe your strengths as a player? My strength as a player is that I feel like I have a good pass rush on the quarterback and I’m a downhill, get off the line kind of player. BDN: What are you working on this offseason as you prepare for your senior year? Things I’m working on - my body weight and everything. 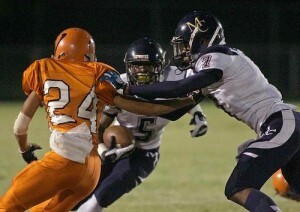 My weaknesses I feel I need to improve on is against the double teams and the run block. BDN: As you approach your college decision, what are the most important things you are looking for in a school? The major thing is the education, this is my first priority, I tell all the coaches, wherever I’m going I have to have a good education. BDN: That’s great that you’re emphasizing your education; is there a particular field you want to study? Yes, my major is pharmacy and my minor is physical therapy. BDN: Where do you stand with offers and interest from schools now? I have 15 offers right now. The schools that are recruiting me the hardest is in between Georgia Tech and Ole Miss, even though all colleges contact me, I feel like they send me email every day of the week. BDN: Which schools have you had a chance to visit or do you have plans to take any visits later this spring or summer? Right now the schools that I’ve visited are Auburn, Georgia, Georgia Tech, Alabama, South Florida, and I’m planning on visiting the colleges that have offered me like Missouri, Duke, Vandy, Ole Miss, and I’m trying to get out to USC for like an official visit. BDN: Living in the Southeast, are there any schools or conferences that you are particularly interested in, or followed closely growing up? Right now I’m open to trying to go anywhere. Growing up, I loved Georgia and everything, but right now I’m open to everywhere. All the colleges that have offered me, I want to go through the process and see the pros and cons of each school. BDN: Are there any schools that have stood out to you at this point, either on your visits or your conversations with coaches? Right at this point, no sir, all the schools are neutral in my mind. I don’t have a favorite. I don’t have a top 5. I’m thinking of making my top 5 during the summer and picking a school during my football season. BDN: You have several ACC schools that are interested in you and you’ve had a chance to visit Georgia Tech already. Can you talk a little bit about your interest in the ACC schools that have offered you, like Georgia Tech, Duke, and Virginia? The ACC is close by, it’s close to home and everything, it’s not that far it’s just down the East Coast and everything. Each team that’s recruiting me from the ACC, I love the defense they run. Each team I looked at their defense that they run and I think that they would fit me. Duke, Virginia, Georgia Tech, and there’s more that I can’t remember right now. But, the ACC is a big possibility, I feel like they have some of the top schools in the country going into next year, that’s how I feel right now. BDN: You mentioned you hope to have a top 5 over the summer; where would you say you are in the recruiting process right now and what is the timeline for making your final decision? Right now in my recruiting process I’m talking to coaches, making my visits to schools and everything. In summertime, mid-summer, I’m going to come up with my top 5 and then in the season I’ll take my official visits to schools and by the end of the season, or signing day, I’ll make my decision. BDN: Thanks a lot, Jay, and best of luck. 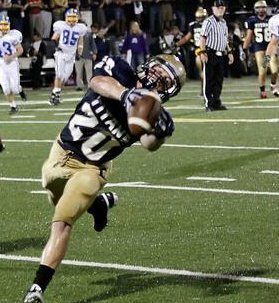 The Blue Devils are officially on a roll in the class of 2013, picking up their 4th commitment over the past two weeks in safety Jake Kite. Kite is a 6'1" 180 pound hard-hitter out of Roanoke, Virginia. 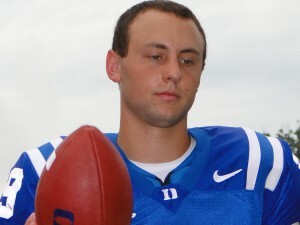 The Blue Devils beat out in-state ACC rival NC State for Jake, the son of Chris Kite, a former UVA defensive back. Duke was the first school to extend a scholarship offer and made a strong impression on a visit earlier this spring. Kite was on hand for Duke's Spring Game this weekend, and decided to make his pledge to Coach Cutcliffe and the Blue Devils. After his junior season at Hidden Valley HS in which he totaled 149 tackles, 16 tackles for loss and 5 interceptions, Kite was named Regional Player of the Year and 1st Team All-State. 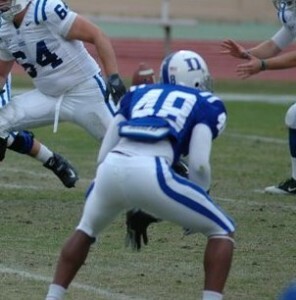 He runs a 4.5 second 40-yard dash and the Blue Devils hope he'll become a star in Coach Knowles 4-2-5 defense. So, how are you beating the heat? Well, here’s a suggestion. Find yourself a cold beverage and sit down for some Football Friday here at BDN. If you aren’t a BDN Premium Member yet, you’re really missing out. Go ahead and join now to get the best coverage of Duke, year-round. All the cool kids are doing it. Head Coach David Cutcliffe announced on Thursday that safety Issac Blakeney has been suspended from the university for failure to meet continuing academic eligibility requirements and will miss the 2011 season. “Issac is a valuable member of the Duke Football family and I look forward to him returning to full eligibility in January of 2012,” said Cutcliffe. Obviously, this is a huge blow to the Blue Devils’ depth at safety. Those who saw Blakeney in the spring game got a glimpse of his potential in the Duke secondary. In order for the new 4-2-5 scheme to be successful, players like August Campbell, Jordon Byas, and maybe even true freshman Chris Tavarez will have to step up alongside seniors Matt Daniels and Lee Butler. BDN wishes Issac the best of luck as he gets himself back on track; we’re pulling for him. In anticipation of the ACC’s Football Kickoff, Football Friday would like to share some of our completely unqualified predictions for the 2011 ACC football season. We figured that by next Friday, you will have heard enough media predictions, but this week, you’ll read every word. Here is the most important prediction we’ll make: none of these predictions will matter by December. In fact, most will be thrown out the window by September 3. In a year where only THREE teams will return their unquestioned starting quarterback from 2010, our second prediction is that the ACC will be pure chaos in 2011. Please keep these first two predictions in mind as we prognosticate. The last four ACC Champions have come from the Coastal Division, and for that reason, we start here. Virginia Tech: the road to Charlotte still has to go through defending ACC Champion Virginia Tech, who lose ACC POY Tyrod Taylor, along with tailbacks Ryan Williams and Darren Evans. 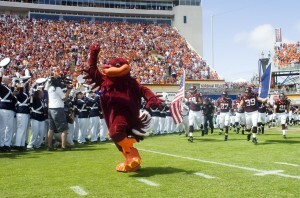 Overall, the Hokies return just 11 starters, 6 on offense and 5 on defense (including just one defensive lineman). All accounts suggest that redshirt-sophomore QB Logan Thomas and junior TB David Wilson are poised for breakout seasons for the Hokies. Head Coach Frank Beamer seems to have the annual luxury of reloading his roster, rather than rebuilding it, and the Hokies should put together another top-25 season and hold the top spot in the ACC Coastal Division. Miami: I’m probably buying the Hurricanes a little early in their first year under Al Golden, but by all accounts, the new Head Coach knows how to recruit and knows how to win. Miami has always had talent, and with better discipline and execution, I think this will be a much improved team over recent editions. Road contests at Maryland, Virginia Tech, UNC, and Florida State will pose a significant challenge, but the Hurricanes have some of the best athletes in the conference. Georgia Tech: I always underestimate Paul Johnson’s Yellow Jackets, so they’ll probably finish higher ( I didn’t want to break from tradition). There are several unproven new faces on offense and Al Groh’s defense needs to take a big step forward, but mostly, I think GT has one of the more favorable schedules, with their only ACC road contests at NC State, Virginia, Miami, and Duke. North Carolina: I’m selling the 2011 Tar Heels, and I realize I have them lower than most pundits. There are too many unsettled off-field issues, a first-year starting quarterback, the loss of a bunch of NFL draft picks, and a schedule that includes road games at Georgia Tech, Clemson, NC State, and Virginia Tech. Reading between the lines, it seems that even embattled Head Coach Butch Davis has been attempting to lower expectations, calling this a “transition year” for the program. Duke: As you can see by my underwhelming review of the Coastal Division teams in front of them, if things go right in Durham, there’s no reason Duke couldn’t end up with their highest finish in several years. Realistically, the young defensive line will have to mature ahead of schedule and the offense will have to prove it can run the ball consistently for Duke to become a serious threat in the division. Virginia: Many will probably place UVA ahead of Duke, but I’m not sold on the 2011 Wahoos, especially given their quarterback controversy. I interpreted the reports out of Charlottesville to indicate that none of their inexperienced QBs performed well enough to earn the starting job, which is an ominous sign for a team that also loses its leading rusher. Sure, Chase Minnifield and the defense should be solid, but road tests at UNC, Miami, Maryland, and FSU will be a stiff challenge. Though the Coastal Division has produced the last four ACC Champions, the Atlantic Division Champion should challenge for an Orange Bowl berth in 2011. I’m not sure there will be significant improvement elsewhere in the division, however. Florida State: Florida State claimed the Atlantic Division title in 2010 in Jimbo Fisher’s first season as Head Coach, and the Seminoles show no sign of slowing down. FSU will return a veteran group in all three phases in 2011 with 18 starters returning overall. Of all the ACC’s new full-time starting QBs, junior EJ Manuel has the most experience, having filled in for the injury-plagued Christian Ponder in each of the last two seasons. 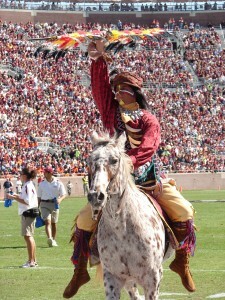 The expectation is that the 2011 Seminoles will be the class of the ACC, and should they win on September 17th against Oklahoma, they could vault towards the top of the national computer rankings. Clemson: With the recruiting classes Head Coach Dabo Swinney is bringing in, they have to be better than 6-7, right? That’s pretty much my basis for placing them here. They do draw FSU at home, but are stuck with facing the two Techs from the Coastal Division, both on the road. I’ve heard good reports about new QB Tajh Boyd and new OC Chad Morris’ offense, but maybe the Clemson folks have just been drinking too much orange Gatorade. Boston College: I really like the 2011 Eagles team and think they have the potential to make a lot of noise in the ACC, but have one of the toughest schedules. Their defense can be dominant at times and their offense should be improved if Chase Rettig can develop consistency and chemistry with his receivers. Montel Harris and Andre Williams should be one of the top tailback duos in the conference, if not the country. Division games at Clemson and a nationally-televised Thursday night home game against FSU will likely determine whether the Eagles will be serious contenders for the Atlantic division title. NC State: new QB Mike Glennon better be good, and he better be good from his first snap. With the transfer of Russell Wilson, all eyes will be on Glennon and fans will be quick to turn on Head Coach Tom O’Brien and the Wolfpack if things don’t go swimmingly. The Wolfpack probably have one of the lightest schedules in the ACC and will also probably finish higher than I have them picked as a result, but I don’t know if Glennon can live up to expectations, and I don’t know if he knows who he’s going to throw the ball to. Maryland: The surprise team of 2010 earned Ralph Friedgen ACC Coach of the Year honors and a pink slip. New Head Coach Randy Edsall will have a veteran team to work with, but even with ACC Freshman of the Year Danny O’Brien back under center, the offense will not be nearly as explosive with the loss of WR Torrey Smith and RB Da’Rell Scott. The Terps will face a tough ACC road schedule and the offense will experience growing pains without its top two weapons from 2010. Wake Forest: Of all the picks, this one may be the easiest. I don’t see a ton of reason for optimism in Winston-Salem, though the Deacs will return 17 starters from last year’s squad that finished with a 1-7 ACC record (yes, the 1 win was against Duke). We say it every year, but this is a must-win game on the schedule for Duke (and every other ACC team). Ok, now that all of that conventional stuff is out of the way, let’s look at some fun categories. I think there are four, at varying levels. Butch Davis: how he still has a job is a mystery to most objective observers. Dabo Swinney: we know he can recruit, but how long does he have to prove he can coach? Jim Grobe: almost unthinkable just a few years ago, but there doesn’t seem to be a lot of optimism in Winston-Salem these days and another finish in the cellar would have to put him on shaky ground. Tom O’Brien: he must enjoy working without job security in Raleigh. After winning support with an impressive 2010 season, the questionable handling of the Russell Wilson situation has placed the Wolfpack Head Coach back under scrutiny. I think this is a neck and neck race with the UNC and NC State quarterbacks. I’m not suggesting they’re not ultimately going to be good players, but there’s a ton of pressure on them in their first season as starters. Bryn Renner at least has a good group of receivers returning, so I’ll say that Glennon will struggle to live up to the unrealistic expectations placed on him by Russell Wilson’s departure. Maybe I’m a year or two ahead of myself here, but I really think Al Golden is going to put the Miami Hurricanes back on the map. He’ll have to figure out his quarterback situation, but he’s got an All-ACC caliber running back in Lamar Miller and a ton of high-level athletes across the depth chart. I think the rest of the conference has forgotten just how good “The U” can be. 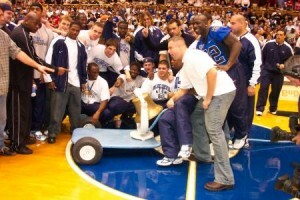 Can the Blue Devils upset the Tar Heels and re-claim the Victory Bell this year? For the sake of the conference, let’s all hope that we don’t see another FCS team upset an ACC opponent as we have in recent years. But within the conference, let’s say that the Blue Devils travel to Chapel Hill on November 26 with a 5-6 record. The Tar Heels have been mired in controversy all season and the public outcry against Head Coach Butch Davis continues to mount. Behind huge performances from seniors Donovan Varner and Cooper Helfet, the Blue Devils emerge with the Victory Bell and secure bowl eligibility for the first time since the 1994 season. Hey, I figured I’d end on that note to leave you feeling good about the upcoming season. 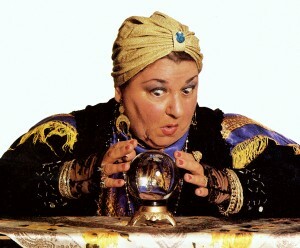 With regards to all these predictions, as they say, that’s why they play the games. BDN will have full coverage from next week’s ACC Football Kickoff in Pinehurst and of course, we'll follow the Blue Devils all season long. WE ARE DUKE. Here's to you, Cameron Crazies! Football Friday comes to you fashionably late this week, and in abbreviated form so that you can get in line for Harry Potter early. Has anyone camped out for three months for seats to Harry Potter? I didn’t think so. That takes real dedication. Here’s to you, Cameron Crazies – and here’s hoping to see all of you in Wallace Wade Stadium this fall. Congratulations to Duke alumnus Clarkston Hines, who will be inducted into the College Football Hall of Fame in South Bend, Indiana. The ceremonies will kick off at 9:30 AM and conclude with a dinner and ceremony at 7:30 PM. The “Frequent Flyer” holds Duke records in receptions, receiving yards, receiving touchdowns, and 100-yard receiving games. He also holds ACC records in touchdown receptions and 100-yard receiving games. 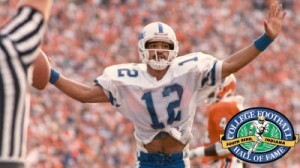 The 1989 ACC Player of the Year, Hines led the Blue Devils to a share of the ACC Championship and was named a first team All-American. To put some of Hines’ accomplishments in perspective, consider how his career compares to current Duke stars Donovan Varner and Conner Vernon. While Varner and Vernon may have a chance to approach Hines’ reception total, they would have to put up some impressive seasons to approach his yardage, touchdown, or 100-yard game records. It’s clear that Hines is more than deserving of his enshrinement. Congratulations! Got it now? There’s going to be a quiz at the end. Congratulations to the Blue Devils for their well-deserved recognition, but we know that it’s the post-season awards that they’re working to earn. 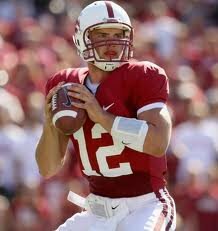 In case you missed them, be sure to check out our previews of Richmond and Stanford. They’re great reads and we are fortunate to have had the help of David Weissman and Hank Waddles to give us an inside look at Duke’s first two opponents. As you might expect, we’ll have a preview of Boston College, as well as Florida International, up this week, so be sure to check them out and spread the word that BDN has the best Duke Football coverage year-round. Make no mistake, the goal for the Duke program is to play in Charlotte in December and the Orange Bowl in January. However, a lot will have to go right for that to happen, with maybe even some help from Harry Potter and friends. Coming off a 3-win 2010 in which the Duke defense struggled mightily and the offense was inconsistent, it might be more realistic to look at some other potential bowl destinations for the Blue Devils. If Duke is able to put together 6 wins or better in 2011, where might they end up playing in December or January? The three best fits for Duke, at least geographically and a potential high-profile opponent, would be the Belk Bowl, the Music City Bowl, or the Military Bowl. The 2011 Belk Bowl will be held down I-85 in Charlotte on December 27th, and feature the #5 ACC team against a Big East opponent. The 2011 Music City Bowl will be held down I-40 in Nashville on December 7th, pitting the #6 ACC bowl team against an SEC opponent (with a sweet $3.675MM payout). If the Blue Devils were to be selected for the Military Bowl, they would likely face a familiar opponent in Navy on December 28th in Washington, DC. The ACC also has a conditional agreement with the Kraft Fight Hunger Bowl, which will be played on New Year’s Eve in San Francisco, but let’s hope we won’t have to travel that far. Another option would be the Independence Bowl on December 26th against a MWC team in Shreveport, Louisiana. Of course, Duke fans would welcome the opportunity to travel to any of these games to support the Blue Devils, so you may want to start saving up those frequent flyer miles and hotel points for December! RB: Todd Gurley confirmed to BDN this week that he has dropped Duke from the schools he is considering. I gave my reaction to this news earlier this week on the message boards, but to summarize, Gurley is a tremendous talent, but may not have been the best fit at Duke University. Mallard Creek’s Jela Duncan, who posted a sub-4.3 40 time in Durham earlier this summer and boasts a 3.5 GPA, would certainly look good in Duke blue. 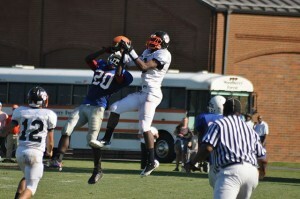 LB: We heard from Marcus Allen earlier this week, another great athlete out of the state of Florida. His recruitment will be competitive, but he’s exactly the type of student-athlete that could thrive in Durham. Keilin Rayner is a player who has been high on the Blue Devils throughout the process and with his interest in Sports Medicine, would be another great fit at Duke. DL: The targets at this position have changed significantly in the past week, as the Virginia schools have locked up several verbal commitments. Woody Baron and Nigel Williams committed to Virginia Tech, giving the Hokies five defensive linemen in the class of 2012. Virginia added Courtnye Wynn, their third defensive line commitment in this class (they brought in seven DLs in the class of 2010). With a logjam on the defensive lines at UVA and VPI, could that help the Blue Devils with their recruitment of DT Korren Kirven? It certainly can’t hurt, but Duke will have to battle things out with over a dozen other top programs for the elite Lynchburg lineman. Outside of Kirven, Duke is still recruiting Torey Agee out of Alabama and in-state standout David Reader. Agee is on a visit to Vanderbilt this weekend, and Reader has recently decided to pursue both football and baseball at the collegiate level. At 6’3” and 300+ pounds with a 95 MPH fastball, Reader could certainly help the Blue Devils on the gridiron and the diamond. 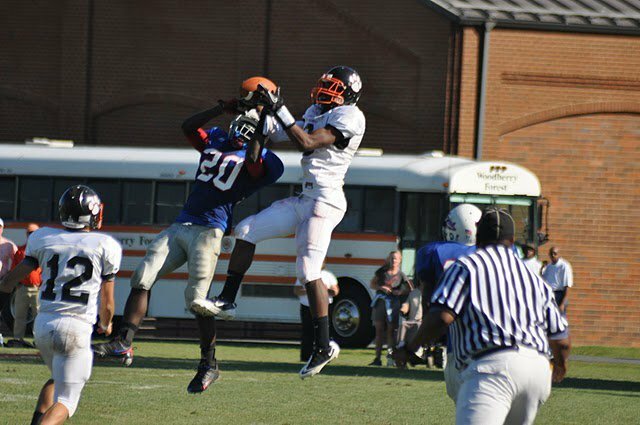 WR: The Blue Devils are hoping to add a new element to their receiving corps with one more commitment in the class of 2012, and that could come in the form of elite Tennessee prospect Drae Bowles, or the lengthy Anthony Nash out of Pennsylvania. ACC following in the SEC’s footsteps? Except without the national championships. With the NCAA having investigated North Carolina and Georgia Tech for violations in their football programs, the ACC appears to be trending down a slippery slope. Fortunately, the majority of ACC programs continue to do things the right way, and Duke remains one of them. The Duke coaching staff, along with a top-notch compliance department, are sure to keep the program on track. With regards to Georgia Tech, though the NCAA noted a lack of cooperation with their investigation, the penalties ultimately should not have a great affect on the program. A fine, vacating wins, and probation hardly hurt the program where it counts going forward. In my opinion, the only NCAA penalties that have any noticeable effect involve the loss of scholarships or post-season participation. With many more violations having occurred in Chapel Hill, we’ll have to see if the NCAA chooses to enforce more significant penalties. They say this internet is going to be a big deal. You can keep up with all things Duke Football through us here at BDN, of course, or you can follow Duke Football on Twitter. We’re also on Facebook, as is Duke Football. Of course, the best way to stay informed about all things Duke athletics is to join BDN Premium. And if you need an invite to this new Google+ thing, shoot me an email. We’ve been saying that football season is fast approaching for awhile now, and some of that might just be wishful thinking. Come next week, however, and it can no longer be denied. The ACC will host its Football Kickoff in Pinehurst on July 24-25, and the Blue Devils will be represented by Head Coach David Cutcliffe, along with QB Sean Renfree and SAF Matt Daniels. Just two weeks after the ACC Football Kickoff, the Blue Devils will take the field for fall training camp. As always, you can rely on BDN to have the best coverage of all things Duke Football. After all, WE ARE DUKE. After the emergence of young stars Desmond Scott, Josh Snead, and Juwan Thompson in 2010, the Blue Devils are looking for their next great back in the class of 2012. The Duke staff has been aggressive in recruiting elite running backs, including an offer to Georgia standout Nick Tompkins. Tompkins is a 5’10” 175 pound running back from Snellville, GA. After leading Brookwood to a 2010 state championship with 1,890 yards and 22 touchdowns, the speedy junior took home several postseason honors, including Offensive Player of the Year. Tompkins has stayed busy this spring with recruiting visits as offers continue to pour in for the elite athlete. 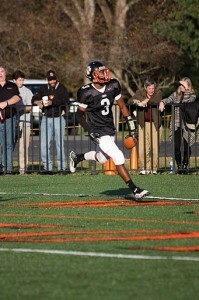 Highlights from his junior year can be viewed here. BDN: Can you start off by describing your strengths for fans who haven’t had a chance to see you play? My strengths, well, I have a lot of speed, I’m a speed back. I run low to the ground, I have very good vision and once I break through the line, I never get brought down. Even though I’m like 175, I still break tackles, I rarely go down on first contact, I’m a hard runner too. BDN: What are some of the things you have been working on this offseason? Just trying to get a little big bigger, get a little bit stronger. That’s really about it. Working on some route running because a lot of schools want to be able to use me in the slot also, they want to be able to use me as an all-purpose back. BDN: What are some of your goals for yourself and your team in your senior season? You know, try to win another state championship, go back-to-back, that’s all I would say. BDN: As you look at your college decision, what are the most important factors you are looking for in a school? First and foremost the coaches, especially the coaches that I’ll be spending the most time with there. I want them to be good people, honest, you know just nice to be around. And also I look at the players, I also like to look at the up and coming class, the 2011 class, talk to some of those guys because those are the guys you’re going to be playing with. I also look at academics, I want to major in business so I’m looking for a school that has a good business school. I also look at the campus life and I’m looking for a place that could feel like home to me. BDN: I know there are a lot of schools who have offered you, but which schools have you been in contact with the most often? Maryland, Wake Forest, Duke, Virginia, Georgia Tech, Ole Miss, Mississippi State, Indiana, I recently got offered by Michigan State yesterday, so I had actually been talking to them before and then they offered yesterday. Last week I kind of started talking to Florida State, they haven’t offered but they want me to come to camp. BDN: Have you had a chance to visit any schools, or do you have any visits planned? I went to Georgia Tech’s spring game last weekend. The weekend before that I visited Arkansas. And I’ve visited Clemson. This next week I’ll be visiting Maryland for their spring game and then I’m planning to visit Boston College, Mississippi State and Ole Miss, Michigan State, Vanderbilt and a few other schools, so I’m going to be really busy the next few weeks and over the summer traveling. BDN: You mentioned the coaching staff being one of the most important things you’re looking for in a school; are there any coaches that you feel you have a particularly good relationship with at this point in the process? Well, Georgia Tech’s staff. The only three schools that I’ve visited that have offered are Arkansas, Georgia Tech, and Virginia. Of those, I feel like Georgia Tech, I have a great relationship with their coaching staff. I’ve been up there three or four times now, know my way around quite well. I’ve built a great relationship with the coaches, I’ve talked to [Head Coach] Paul Johnson and know him personally. I’d say Georgia Tech has probably been the best in that aspect. But I’ve been getting mostly written letters from a lot of these other schools that have offered and I haven’t really got to talk to them in person because I haven’t visited them yet, so I’m going to wait and see how that goes. BDN: You’ve obviously got a lot of great opportunities in front of you and you’ll be busy over the next few weeks and months; how and when do you plan on narrowing things down to make a decision? Probably, definitely after I visit enough schools I’ll start narrowing it down by mid to end of June. Then I’ll try, my goal is to try and commit somewhere before my football season starts but I can’t guarantee that yet. BDN: Thanks a lot, Nick, and best of luck. While Duke worked hard to improve their defense on the field this spring, the coaching staff is also working hard to upgrade the defense with a talented group of prospects in the class of 2012. The Duke staff has targeted an elite group of defensive backs who already have received verbal scholarship offers from the Blue Devils, among several other top programs. 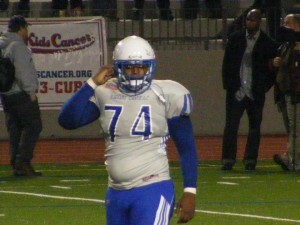 One of the most recent prospects to pick up a verbal scholarship offer is C.J. Prosise, a 6’2’” 202 pound prospect from Woodberry Forest, Virginia. Highlights from his junior season can be viewed here. Mostly, just a ball-hawking safety, and I’m pretty fast, I would think. Mostly my speed and my hips and my movement, getting my cuts back and forth. Mostly I know I’ve got to make plays, because everybody will be looking to me to make the plays, so that’s really what I’m looking forward to doing. I know they’re counting on me to be a great leader out there for them. Good academics would be one, and then definitely a pretty good football team, just a place that I want to be for four years, even if I wasn’t playing football. BDN: Is there a particular academic field you are interested in studying in college? Not right now, I haven’t really thought about it too much. BDN: Which schools have you been in contact with the most, and which schools have extended verbal offers? 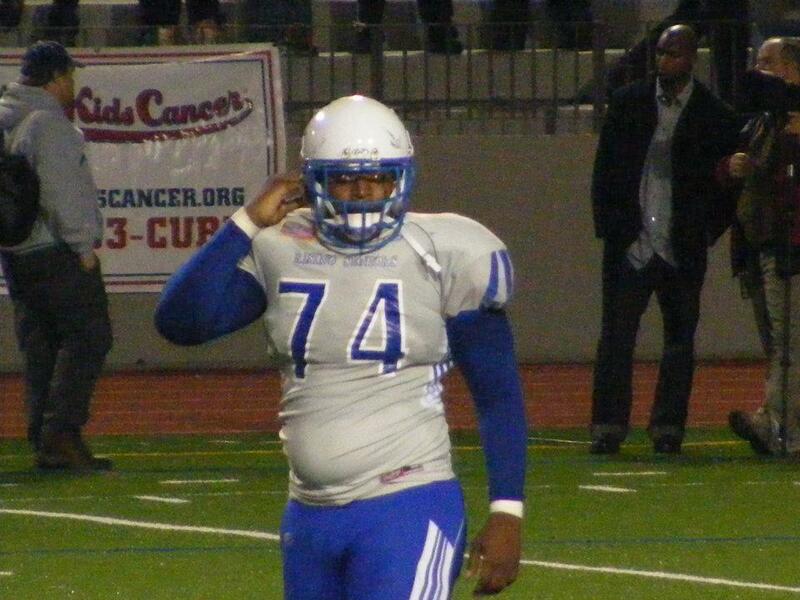 I have offers from Boston College, Maryland, UVA, Virginia Tech, Duke, and Wake Forest. Those are all the ACC offers and then I have Vanderbilt from the SEC. BDN: Have you had a chance to take any visits this spring? I’ve visited Maryland, UVA, Virginia Tech, and I’ve visited Duke. BDN: Have any schools impressed you or surprised you at this point in the process, either on your visits or your contact with coaches? I mean, definitely I had a good time at Duke, when I was there, but also - I’m trying to think – Maryland, and I had a really good visit at Virginia Tech, too. BDN: Do you have any plans for visits later this spring or over the summer? No, I don’t really have any right now, well I have a couple this summer but none in the spring. I have Vanderbilt, Boston College, and Wake Forest this summer. BDN: Do you have an idea for how or when you would like to narrow your list of schools down and ultimately make a decision? Not really, I haven’t really thought about it that much. BDN: Thanks a lot, C.J., and best of luck to you.